Pac-12 Championships. Lake Natoma, CA. May 18. 111th IRA National Championship. Lake Natoma, CA. May 31 - June 2. Pac-12 Championships. Lake Natoma, CA. May 19. Ivy League Women's Championship. Cooper River, NJ. May 13. Pac-12 Championships. Lake Natoma, CA. May 13. 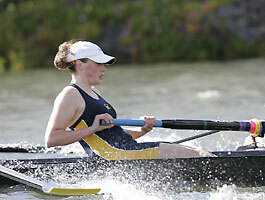 Please visit www.jamcoworldrowers.com for results of world championship regattas from 1999 to present. for results and split times from FISA World Championship rowing regattas. Programming and web design by Jeffrey Shimbo. © 1999-2014. Kent Mitchell. All Rights Reserved.